That does not look normal, usually when there´´'s a missing texture you get the pink and black squares. That seems a rendering issue of some sort, you use optifine or other rendering performance mod? Try re-installking the pack (I assume you are using a curse pack). Or try running the mod by itself on another instance. It seems to me another mod is messing with it. Hey there, so I love your mod first of all, but for the reason that it has tons of weapons. Currently I am trying to retexture some of the weapons and I can't seem to find out the means of which to rename these weapons. Could you maybe help me with this, or if I can't do this could you make it possible somehow so others could possible rename these weapons? 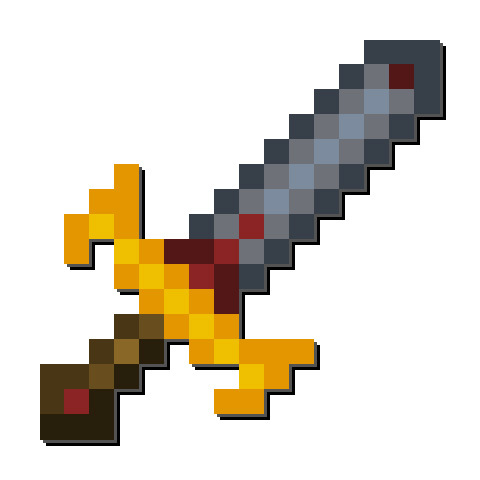 One more thing as well is that i'm using the mod Crafttweaker (Or Minetweaker) and i don't know how i can go about making recipes for the individual weapons. Thank you. Sorry about that, still haven't fixed that bug. Have been busy with some projects but will find time to do it soon. Is there a config file available to get around this issue? Does this mod work on already generated worlds or do you have to generate a new world after installation? it does need new generation. For the 1.9.4 and 1.10.2 versions, due to how loot tables work, it may work on already generated chests that haven't been yet opened by a player. Would it be possible and if so, could you add a config option for how often these generate in chests? The current generation seems a bit high.. finding 3-4 in every other chest. Way too many items for my modpack. Pardon me if this has been asked before, but will these chests show up in mod-generated dungeon chests, such as in Roguelike Dungeons? Hey I've tried running this mod on my server and it kept throwing out and error saying that it was a client side only mod, are you guys planning to add server side function too? That is weird, it does run on servers. Was used in Hermit Wars recently. What version are you running? Can you post the log?